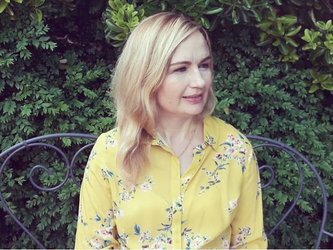 We're delighted to announce the acquisition of two new novels by Samantha Tonge. The first novel, Forgive Me Not, an emotionally gripping and bittersweet novel about a young woman looking for forgiveness from her family. A powerful new direction for Samantha, it is an unputdownable exploration of homelessness, family and redemption, perfect for readers of Ruth Hogan or Jodi Picoult. Forgive Me Not is scheduled for release on 23rd July 2018. The second novel, currently untitled, will be released in early 2019. Samantha Tonge has published several bestselling books with HarperCollins, including the smash bestseller Game of Scones. World English language rights were acquired from Clare Wallace at the Darley Anderson Literary Agency. Samantha Tonge studied German and French at university and has worked abroad, including a stint at Disneyland Paris. Samantha has sold over 80 short stories to women’s magazines. Previously published by HQ Digital, in 2014, her bestselling debut novel, Doubting Abbey, was shortlisted for the Festival of Romantic Fiction best eBook award. In 2015 her summer novel, Game of Scones, hit #5 in the UK Kindle chart and won the Love Stories Awards Best Romantic eBook category.